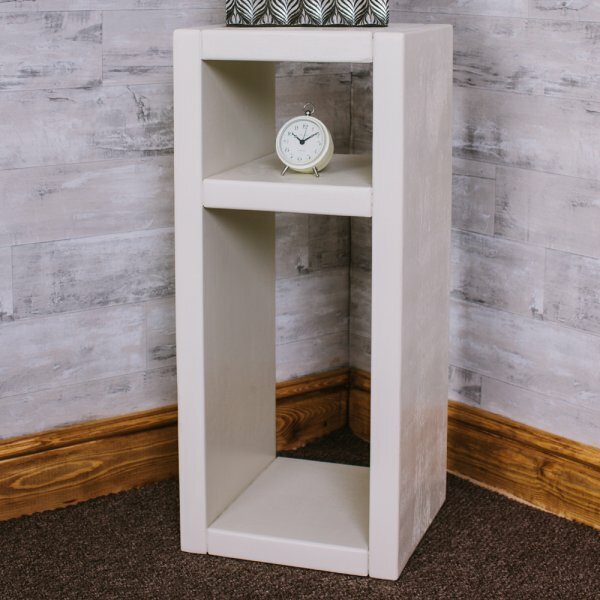 Shown as the Cube Plank Display with Shelf in off white. Perfect as a bedside, lamp table or magazine rack. Our Cube Plank bookcases & cubes create an efficient space where you can store your everyday items.